Mon., 3 Jun. - Sat., 8 Jun. Sun., 1 Dec. - Mon., 2 Dec.
Wed., 29 May - Wed., 12 Jun. Fri., 21 Jun. - Wed., 26 Jun. Sun., 1 Dec. - Wed., 8 Jan.
Fri., 6 Mar. - Mon., 9 Mar. Thu., 6 Jun. - Sun., 9 Jun. See all 287 properties in Noi Bai Intl. 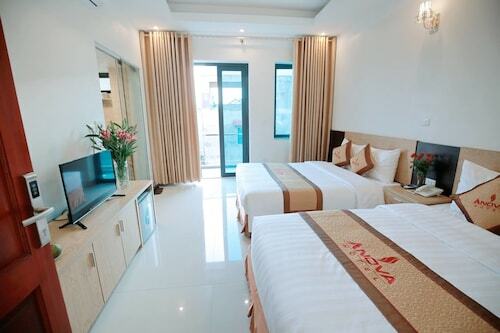 Located in Soc Son, this hostel is 3.9 mi (6.3 km) from Melinh Plaza. Located in Soc Son, this bed & breakfast is 4.1 mi (6.5 km) from Melinh Plaza and within 12 mi (20 km) of Vantri Golf Club and BRG Legend Hill Golf Resort. Nhat Tan Bridge and Tam Dao National Park are also within 12 mi (20 km). 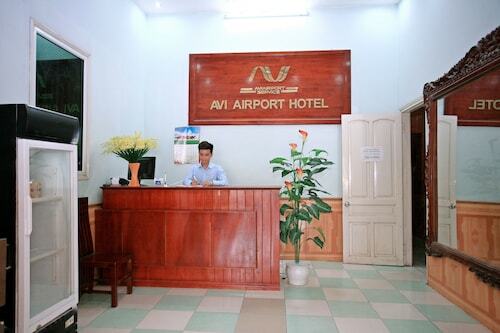 Located in Soc Son, this hostel is within 9 mi (15 km) of Melinh Plaza, Thanh Chuong Viet Palace, and Vantri Golf Club. BRG Legend Hill Golf Resort and Tam Dao National Park are also within 12 mi (20 km). Located in Soc Son, this hotel is 2.4 mi (3.8 km) from Melinh Plaza and within 9 mi (15 km) of Thanh Chuong Viet Palace and Vantri Golf Club. Tam Dao National Park and BRG Legend Hill Golf Resort are also within 12 mi (20 km). 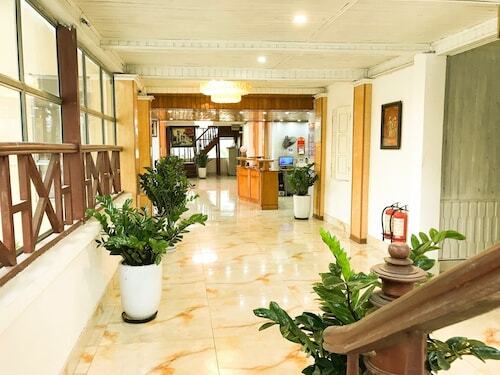 Located in Soc Son, this hotel is within 9 mi (15 km) of Melinh Plaza, Thanh Chuong Viet Palace, and Vantri Golf Club. BRG Legend Hill Golf Resort and Nhat Tan Bridge are also within 12 mi (20 km). 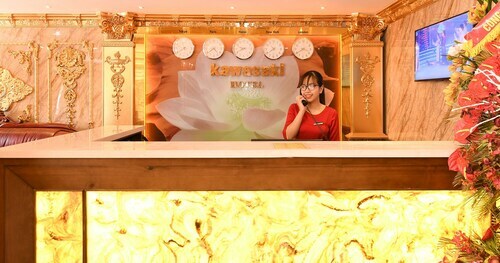 Located in Soc Son, this hotel is within 9 mi (15 km) of Melinh Plaza, Thanh Chuong Viet Palace, and Vantri Golf Club. BRG Legend Hill Golf Resort and Nhat Tan Bridge are also within 9 mi (15 km). Located in Soc Son, this hotel is 2.6 mi (4.2 km) from Melinh Plaza and within 9 mi (15 km) of Thanh Chuong Viet Palace and Vantri Golf Club. BRG Legend Hill Golf Resort and Tam Dao National Park are also within 12 mi (20 km). Located in Soc Son, this hotel is 2.8 mi (4.5 km) from Melinh Plaza and within 9 mi (15 km) of Thanh Chuong Viet Palace and Vantri Golf Club. BRG Legend Hill Golf Resort and Tam Dao National Park are also within 12 mi (20 km). Question : How long does it take to fly from Hong Kong to Hanoi? Answer : Definitely the faster option to get to Hanoi when compared to driving. Flying from HKG to HAN typically takes about two hours and 14 minutes. Remember, there is a one hour time difference. Question : What is the cheapest date to fly to Hanoi? Answer : As of Apr 22nd, the best day for deals to Hanoi (HAN) is May 16th. It cost $237, which is 41% less than this route's average price. Question : How long do most people stay in Hanoi? Question : How long is the flight from HKG to HAN? Answer : If you're able to take the direct flight (which is offered by Jetstar Pacific), you will be able to leave HKG at 1:25 PM HKT and get to HAN at 2:25 PM +07 (two hours). Remember, there is a one hour time difference. Question : Which airline has the least delays from Hong Kong to Hanoi? Answer : Booking with Vietnam Airlines means you will arrive to Hanoi pretty close to the time your ticket states. In fact, this airline has an 88% on-time average. It never hurts to be prepared. If you should choose this airline, be sure to track the flight status to stay on top of the departure time. Question : How much is a plane ticket to Hanoi (HAN) from Hong Kong (HKG)? Answer : Cost can range from $237 to $1,048, prices for HKG to HAN fluctuate less than most routes from Hong Kong. Prices tend to be better the further out you book. Answer : You sure can and you may save by doing it. The cheapest day to fly in May is Saturday. Having flexibility in your travel plans means you can save more, so be sure to plan ahead when possible.